A memoir and immigrant story by the Muslim American Harvard-trained lawyer, Gold Star father, and 2016 DNC speaker whose son was tragically killed in Iraq in 2004. ...a small but lovely immigrant’s journey, full of carefully-observed details from the order in which Ghazala served tea at a university event, to the schedule of the police patrols in the Boston Public Garden where Khan briefly slept while he was in between apartments, to the description of Humayun’s headstone as a 'slab of white marble with soft streaks the color of wood smoke.' And wisely, though the book includes the family’s decision to appear at the DNC and their preparation for that short, effective speech, Khan steers clear of Trump’s outbursts, which are clearly beneath his attention — and ours ... I closed An American Family feeling that Khizr Khan is probably a better American than I am. 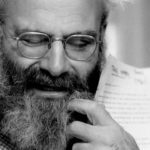 But it’s a strength of his book that I felt inspired, rather than condemned, by that conclusion. Khan’s book is also a story about family and faith, told with a poet’s sensibility. Ghazala Khan may have stood silently next to her husband in Philadelphia — out of grief, perhaps — but Khan depicts her as a learned scholar with a master’s degree in Persian, whom he fell in love with instantly but had to woo over the objections of her mother, who was unimpressed by the prospects of a struggling law student. Their faith imbues every facet of their lives; but it is a tolerant, modern Islam, the kind practiced by most Muslims living in the United States and around the world. The book is a wonderful refutation of Trump’s nativism and bigotry, but it is no partisan polemic. 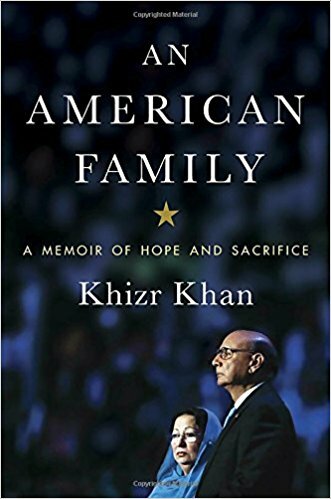 Khan invokes Ronald Reagan’s vision of a shining city on a hill several times in the book, a man Khan calls 'my president,' and for whom he says he would have voted had he been a citizen at the time ... Khizr Khan’s book can teach all of us what real American patriotism looks like, even President Trump. Sometimes it takes a newcomer to point out the beauty that old-timers take for granted. America, more than any other country, was founded upon ideals: individual freedoms, equal protection and due process of law. Khan reminds us that these ideals are worth fighting—and even dying—for. The Khans truly are the most American of families. What did you think of An American Family: A Memoir of Hope and Sacrifice?